Lebel & Bouliane has re-interpreted the interior of a forgotten fish processing plant in Toronto’s Portlands into the new headquarters of Sidewalk Labs in Toronto. The new HQ, dubbed “307”, will act as a testing grounds for new Sidewalk Labs initiatives and an office space for their Toronto team. The project benefits from the intentions of the original processing plant, which was designed to optimize light and spatial efficiency. 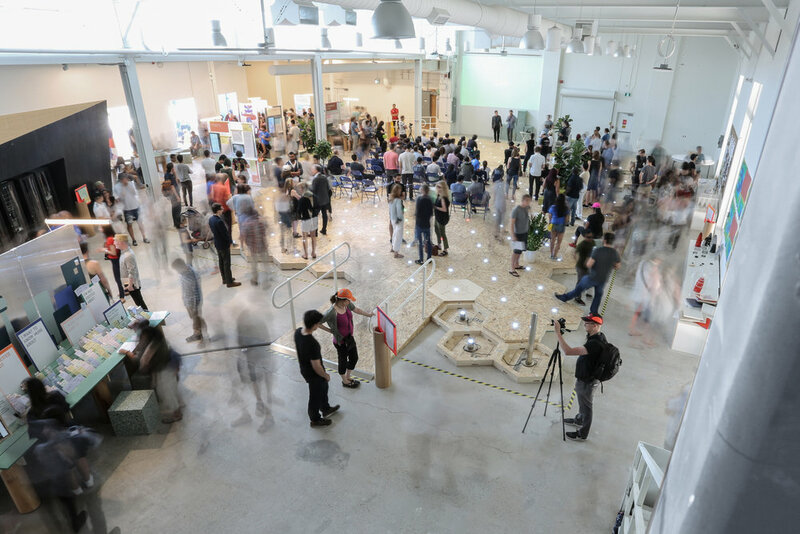 A large south-facing clerestory window, tall ceilings and a remarkably open floor plan are ideal for Sidewalk Labs’ need for flexible experimentation and exploration space. Before adding new geometry, Lebel & Bouliane carefully peeled back the decades of modern renovations to reveal and express the original character of the fish processing plant. 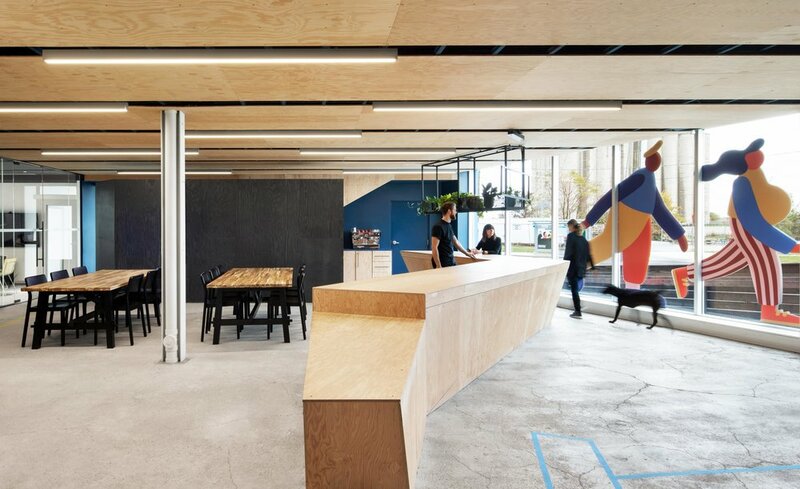 With the original industrial structure exposed, the architects set out to purposefully and conscientiously weave a series of humble, modern forms into the character of the existing building. Within this bare architecture, they have carefully inserted their own language - a dramatic geometric volume reminiscent of a ship’s hull which mediates between quieter office spaces and busier collaborative spaces - that has a playful dialogue with the site both geometrically and conceptually. A central theme to the lives and work of Lebel & Bouliane, the St-Lawrence Seaway and Great Lakes represent the heart of their personal and collective experience as Canadians and designers. With the interior spatial relationships of the original fishery re-established, the new geometric interventions lead the visitors through the building from the compressed entry sequence to the double height prototyping space. The program of the project is set up using multiple scales of collaboration spaces. These collaboration spaces, from what Lebel & Bouliane refer to as the “XXL Workshop Space”, which Sidewalk Labs will use to collaborate with the public, to the larger group meeting spaces, boardrooms, break-out and review spaces, open kitchen bar, and the exterior space south of the building, will be programmed by Sidewalk Labs to engage the public in a variety of explorations and ideas. Accomplished on an extremely tight schedule and modest budget, the design team was challenged to think resourcefully using off-the shelf finishes and products available locally. As architect Luc Bouliane says: “Nothing is precious here, the space is designed to evolve and change with Sidewalk Labs as they grow”.